Just like "Breaking Bad" antihero Walter White, Dave Layman is a science teacher from New Mexico. Unlike Walter White, Layman is still alive (also, he is a real person). 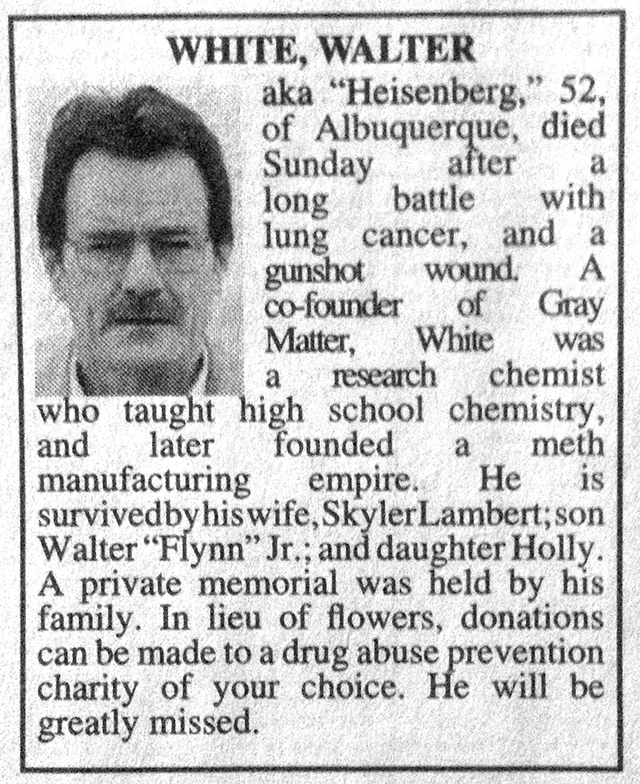 As a big fan of AMC's hit series, Layman, who was in the pilot episode, recently submitted White's obituary to the Albuquerque Journal to provide residents "some closure."